Your credit is a crucial factor in determining many of your future financial decisions. A few points in your credit score can make a world of difference when applying for a mortgage, an auto loan, or even a new job. A good credit score is generally considered to be over 700, but the average American's credit score falls between 600 and 750 while nearly a third of people have a credit score under 600. Without a high score, any of your future financial choices can be greatly limited. Credit repair is the process of finding inaccurate and unverifiable items on your credit report and disputing them with the three major credit bureaus: Experian, Equifax, and TransUnion. Removing these negative items can help you improve your credit score and set you on the right path to financial freedom. Can I Fix My Credit On My Own? The short answer is yes, you could. The Federal Trade Commission allows one free copy of your credit reports every year, which you can use to look for and dispute incorrect and unverifiable items on your own. Keep in mind that it takes time and inside knowledge to complete a successful dispute with bureaus without the leverage of licensed companies. Credit repair companies help take away all that extra time and hassle DIY credit repair would cost you, plus they offer the added bonus of experience and knowing exactly what to look for. You probably already have a busy schedule -- adding mornings and evenings pouring through your credit reports to find erroneous items is one more thing you will have to make time for. Disputing items with credit bureaus means communicating with each of the three bureaus either through the mail, online, or over the phone. In addition to the workload, you lose time you could spend doing something you enjoy. Credit repair specialists are trained to spot commonly overlooked errors that are sometimes hard to catch, like mistakes in lender reports and identity theft. These experts know how to aggressively negotiate, dispute, and remove unverifiable items from your credit reports. They can also help you budget and create a payment plan to assist in paying off any heavy debts since loans can grow exponentially over time. Reputable credit repair services not only fix your credit, but they educate you on the ins and outs of having good credit so you can better handle your own finances in the future. Many credit repair companies also offer personal finance tools, assistance with score tracking, and long-term credit monitoring. Understanding the nuances of credit repair and its lingo can also be difficult. You need to learn about the three credit bureaus, what they do, how to dispute an item, how to effectively monitor your credit, how to spot computer and human errors, and how to identify fraud. While you can do this on your own, a credit repair specialist knows how to effectively take care of any situation that may arise. They can even stop collection agencies from reporting negative accounts. In the case that a bureau continues to report a negative item after it is disputed several times, some credit repair companies can intervene with debt validation services to improve your credit. The best credit repair companies offer additional services like identity protection, cease and desist letters to collection agencies, goodwill letters and interventions, debt settlement, negotiation consultations, and one-on-one consultations with a certified FICO® professional. 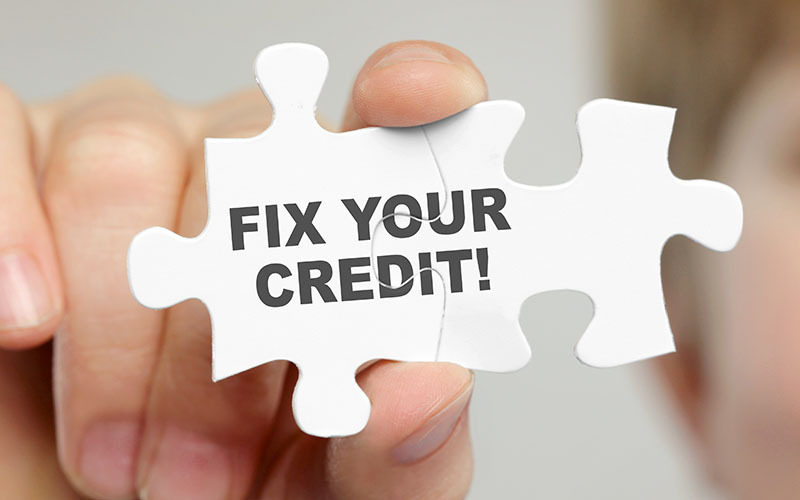 While you can pursue credit repair on your own, we recommend reaching out to a reputable company for assistance. You can reach out to top companies like Credit Saint for a free consultation to see if their services are right for you.